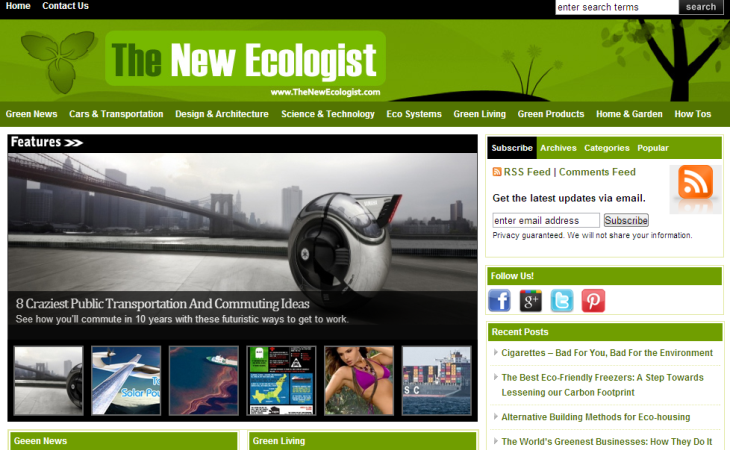 Thenewecologist.com was created as a step towards making our earth a better place to live. The site’s main focus is on preserving our ecosystems through environment-friendly initiatives. The website brings the latest news on eco-friendly technology that can be used at a community and individual levels too. It has articles that inform the readers on how they can contribute to a greener environment around us. Some of the best eco-friendly ventures and measures adopted by communities around the world make to the weekly news pages so that regular readers can be inspired by these stories and incorporate them in their day-to-day lives.